Today’s marketers can elicit contact preference data to create a rich profile of individual customers to underpin far higher and far more consistent engagement levels. 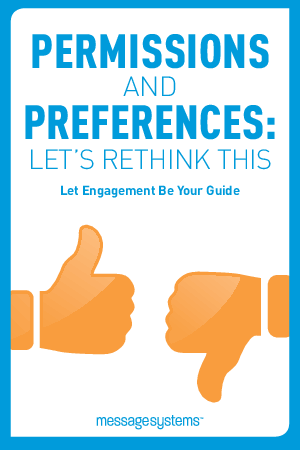 Eliciting and managing preferences is no longer just a concern for direct marketers. It’s an issue that goes to the heart of core business processes for firms in a large and growing number of industries.